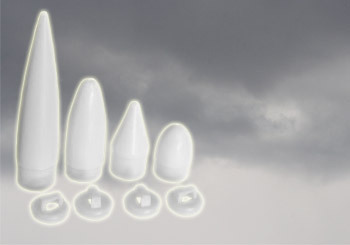 All Nose Cones, which fit standard body tubes (BT - sizes) can be found here. 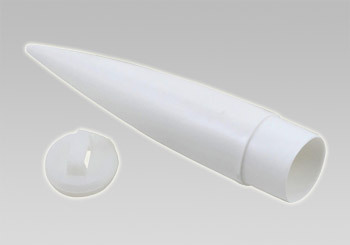 Single-Piece, Ogive 2.85" long cone, white with eyelet for shock cord and shroud lines. Fits into BT-20 Tubes. 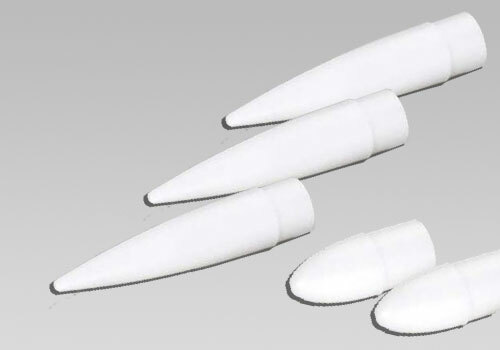 2-Piece, Ogive 2.9" long cone, white with eyelet for shock cord and shroud lines. Fits BT-20 Tubes. 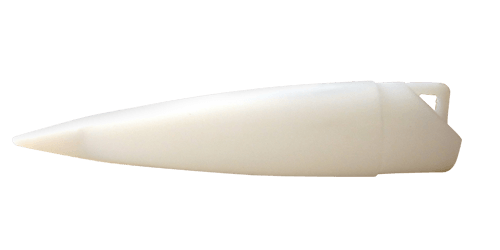 NC-50A 2.75" White Nose Cone. 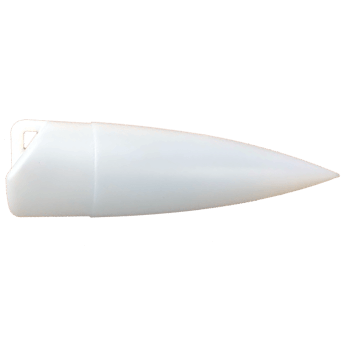 1 ogive 2.75" single-piece nose cone. White plastic with eyelet for shock cord and shroud lines. Fits BT-50 Tubes. 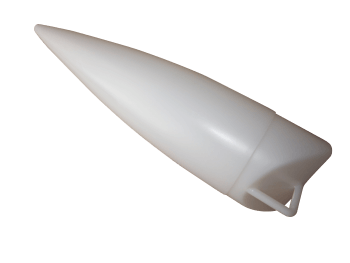 Ogive plastic nose cone for BT60 body tubes (1.637" diameter). Measures a total of 6.75 long. The part that sticks out of the body tube is 5.5" long. 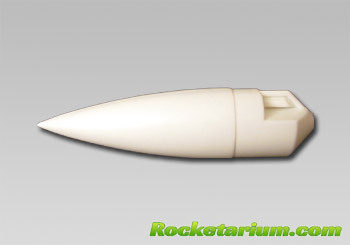 Total weight for this model rocket nose cone is 0.5oz (14g). This pack contains 3 ogive 2" long and 2 parabola 0.75" long cones. 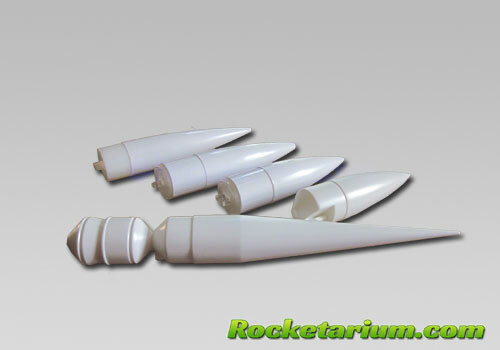 All are 2-piece, white plastic cones with eyelets for shock cord and shroud lines. Fits BT-5 Tubes. This pack contains 5 nose cones. 2.66" single piece 2.75" 2-piece nose cone 3.25 2-piece nose cone 4" 2-piece nose cone 5.5" Crossfire/Black Brant 3/Stiletto type Nose Cone Fits BT-50 Tubes. 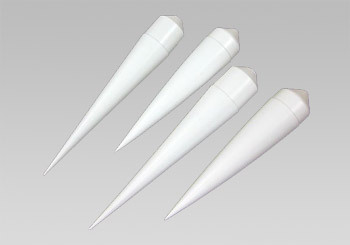 This pack contains 4 conical cones. 2 x 5.5" long cones and 2 x 6.5" long cones. All are white plastic, single-piece with eyelets for shock cord and shroud lines. Fits BT-55 Tubes. 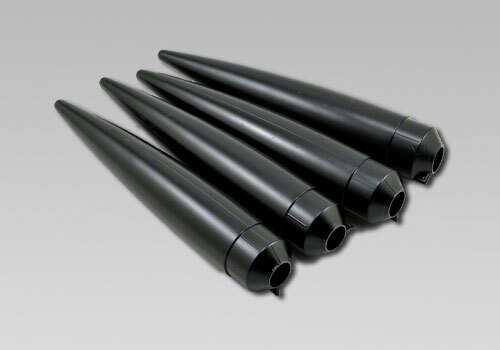 This pack contains 4 x 6.5" conical long cones All are black plastic, single-piece with eyelets for shock cord and shroud lines. Fits BT-56 Tubes.